CONTACT: 715-794-2204 | Email Us! 2-4 people. Room with 1 king bed and 1 queen Murphy bed in living room area. Spacious suite with large windows and private deck overlooking the lake, small refrig, microwave, coffee pot, TV, large stone fireplace with gas insert. Bathroom has two person Jacuzzi and large oversized shower. Extra persons $20.00 pp/per night. 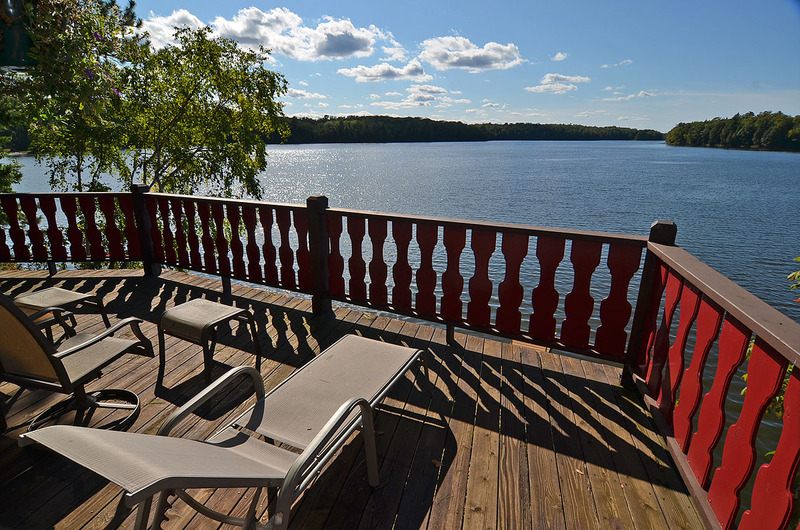 The Bavaria Suite is located on the lower level and overlooks a “forever wild” Lake Namakagon. Picture yourself in the remote reaches of a Canadian wilderness, with all of the conveniences of the Garmisch Inn. Enjoy spectacular sunset views through the large windows of your room or from your private deck. The spacious suite has a beautiful stone gas fireplace in the large sitting room/meeting room, large full private bath with oversize shower and two-person whirlpool, a king bed in the bedroom area, and a queen Murphy bed in the sitting room. 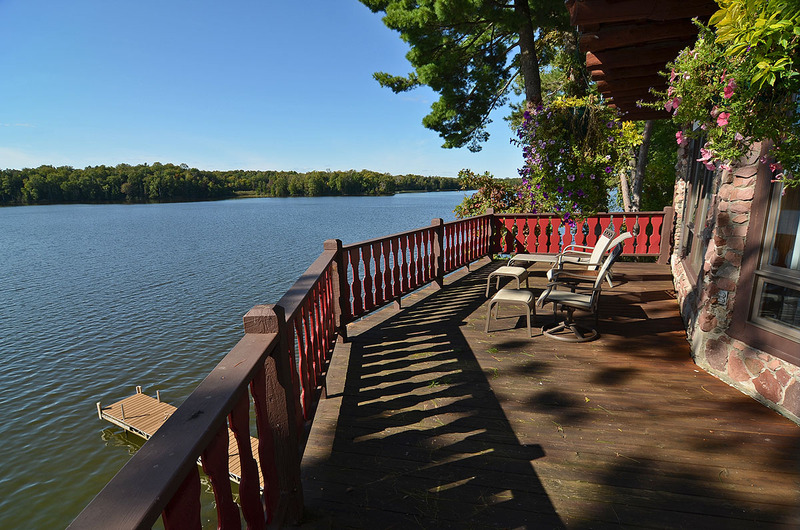 Enjoy the private deck, with fantastic views of Lake Namakagon. The Suite is perfect for a honeymoon or anniversary retreat or an executive meeting.